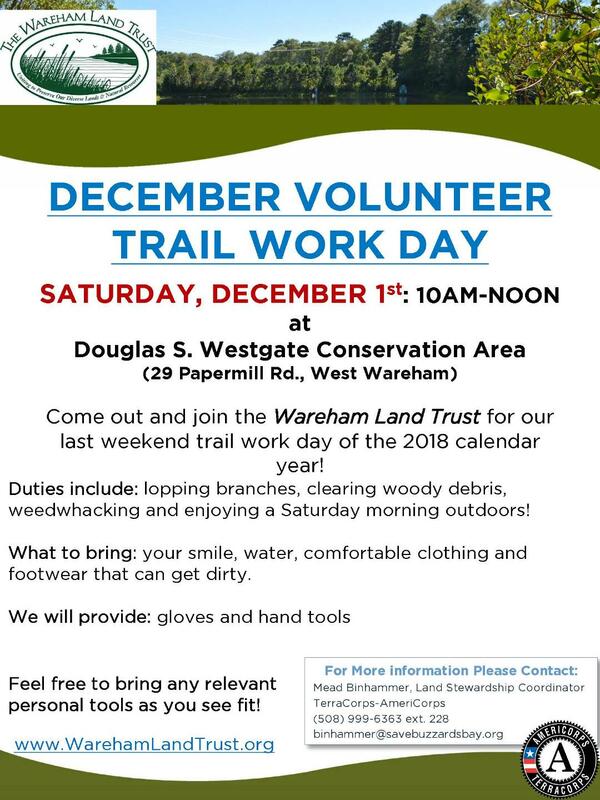 Please join us for our last trail work day of 2018! 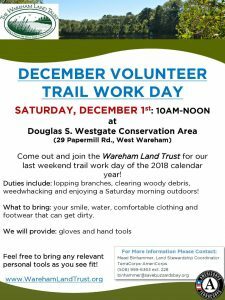 Westgate Conservation Area, 29 Papermill Road, West Wareham. December 1st, 10:00 am – 12:00 pm.